Plano Moms Black Friday Deals - all in one easy list for you! » Plano Moms Black Friday Deals! I love a deal. I love all types of deals and Black Friday always gets me excited. Even when I was little my Grandma taught me about how to get the most out of a buck. So, to bring you all these great deals from local businesses in and around Plano, was really exciting. We thank them all for partnering with Plano Moms for this promotion. The last couple of weeks, if you’ve watched our Facebook Live Shows, you will have seen the deals presented to you. Are you ready to jump in and see what we have? 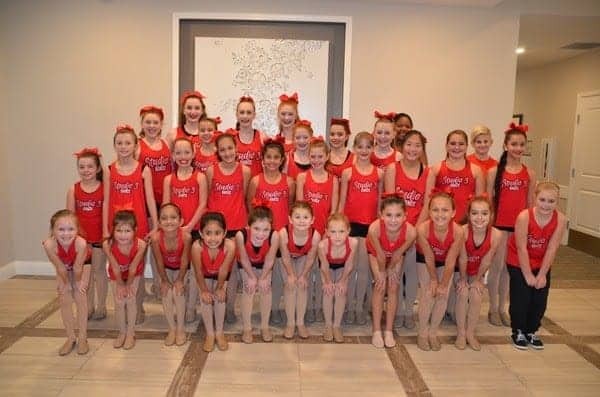 Destiny Devoted Dance is focused on providing high-quality dance education and customer satisfaction – they will do everything they can to meet your expectations. 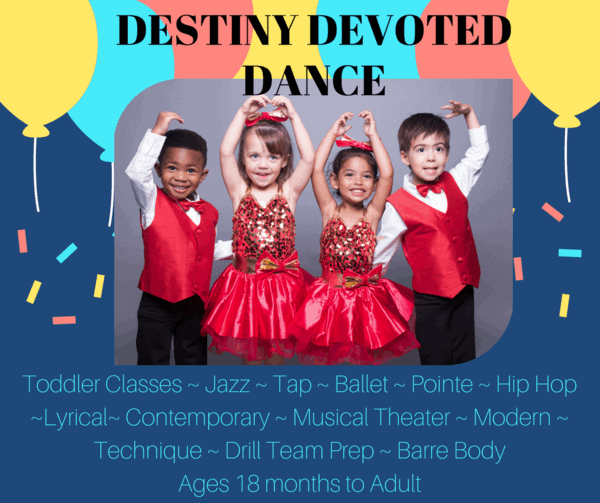 Redeem these offers by contacting Destiny Devoted Dance via their website, by phone (972-379-8161), by email, or by coming in to the studio & mentioning Plano Moms. Address: 930 W. Parker Rd. #510 Plano, TX 75075 (Directly across from Texas Family Fitness). Did you see us drinking wine in our Facebook Live Broadcast on Tuesday? We have Sixty Vines to thank for that! One of Plano’s hottest dining venues and a popular choice for date night has an awesome Black Friday offer for us. So, are you a Vine Hugger, /vīnə – hə -gə r/: noun? Someone who is a wine lover, believes in eco-friendly wine production, and prefers drinking wine on tap. Sixty Vine’s Vine Hugger’s Membership! This is a monthly membership with Sixty Vines featuring their very own custom Vine Hugger’s Wine label. You can choose a one-bottle membership for $39 a month (an $84 value), or a two-bottle membership for $69 a month (a $168 value). When you sign up for the wine club you automatically receive exclusive club perks. You will receive one free liter of Vine Hugger’s wine your first month of joining, you’ll earn points for every $1 you spend on wine on tap purchases, and you will be the first to find out about our exclusive events and monthly wine dinners. Please stop by for a tour at your convenience! Kids ‘R’ Kids of West Allen is open Monday through Friday from 6:30am to 6:30pm and serve children ages 6 weeks through 12 years. They would love the opportunity to show you around the school! After touring, if you decide Kids ‘R’ Kids of West Allen is the right school for you, use this code to receive FREE registration and one week of FREE tuition! KRKWA-Plano Moms. 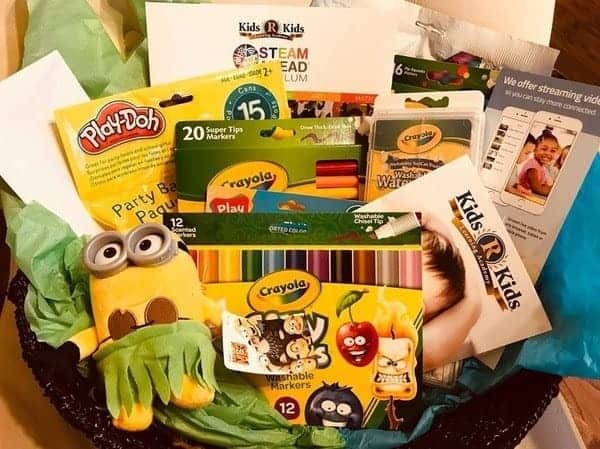 The gift basket will go to the first parent to register with this deal! Bricks & Minifigs are a one-of-a-kind toy shop for buying, selling, and trading LEGO® products. During the entire month of November, our loyalty program members can buy one package of bulk bricks and get a second package of bulk bricks of equal or lesser value 1/2 off. 1. The first 75 people through our door get a free minifigure. 2. All new sets are 10% off. 3. All used sets are 20% off. 4. All minifigures are 30% off. If anyone comes in to the Plano store during the month of November to book a party up to a year out from December 1 and mentions Plano Moms they will get $50 off the price of their party. Valid only during November 2017 and only at the Plano location. To learn more and book your party now! Did you know Snuffers were the winner of the Best of Big D awards in 2015 and 2016 for Best Burger and in 2016 for Best Fries! They have been around since 1978 and all their food is fresh and made from scratch! All of their burgers are fresh – never frozen – 100% ground chuck and cooked to order. Want to try a burger or cheeseburger for only $5? Take this coupon on in to their Plano location and see what you think! Want more info on your local Snuffers? Diane Reeve is the owner of Vision Martial Arts and is a 7th-Degree Black Belt in Tae Kwon Do and holds Black Belts in three other styles. She has been the sole owner of Vision Martial Arts Center since it opened in 1995 and has over 2 decades of martial arts experience. OFFER: Looking for a holiday gift that can’t be broken, doesn’t need batteries and has opportunities for a lifetime? Then give the gift of confidence and self-defense this year. One Month of training and a Free Uniform ($180 value) for $49. Upon purchase you will receive a uniform and certificate to put under the tree. Purchase must be made by 12/20/17 but the certificate is good through June 30, 2018. You love your children, you’d do anything for them. Yet you still don’t have a Will to protect them if the unexpected happens. Or you mistakenly think that an online form or program is sufficient enough to cover those who are most precious to you. Many do not realize the consequences of not having this planning completed…and having it done correctly! Don’t make this another New Year’s Resolution! Take advantage of this exclusive offer and have peace of mind going into 2018! Offer 1: 10% off any Will or estate planning through December 31, 2017! Offer 2: Receive an EXTRA 10% if you attend our seminar on Everything Parents Need to Know About Wills & Trusts! on December 5, 2017 at 6:00 pm! Don’t miss Spavia’s BEST Black Friday ever! It’s full of amazing discounts on products, gift cards, and memberships. They’re also offering free swag bags to the first 100 guests as well as samples and raffling off spa goodies. Plus, at the event, everything in the spa boutique is 15% off! Plus exclusive discounted bring-a-friend gift cards and many more benefits for $237 (that’s $90 off the full priced treatments plus loads of perks) and get a FREE $89 signature treatment gift card to keep or to give! Looking to learn an instrument? Check out 4/4 School of Music. They have 11 Family owned and operated schools in Texas, Oregon & Washington for more than 13 years! They teach from age 5 through to adult. Instruments taught: Piano, Guitar, Voice, Violin, Drums, Ukulele, Bass and more! Month to month – No contracts! You choose the songs you want to learn! All Styles (rock, classical, country, blues, R&B, more). Two optional student concerts (recitals) each year. * Mention Plano Mom’s free registration offer when you call. * New students only – Locations in Plano, McKinney and Little Elm. Lisa Renee has been doing Photography for over 10 years. She works with her husband to bring you incredible photos. She specializes in Family/Children Portraits, with a Lifestyle Emotional Connection focus. Therefore capturing those intimate/meaningful moments between the people in the frame, not just super posed & forced smiles. 25 Mins/8 Images/up to 5 People/$1150 Value – Spring – (Mar/Apr) – Fall (Sept/Oct) & Holiday/Christmas (Oct/Nov – NO Santa) $650 plus tax. Gives 4 Petite Sessions for dates between Feb – Oct. 15 Min/3 Images/up to 4 People. Value $1000. $550 plus tax. Gives 2 Full Sessions for up to 6 people. Full Gallery of up to 25 Images. Dates between Feb & Oct. $2000 Value. $625 plus tax. Good for ONE Boudoir/Intimate FULL Session.1 Hour, 3 Outfits, Studio Rental, Hair/Make Up, Gallery of 20 Images & Premium Leather Bound Album. Dates between 2/1-10/30/2018. Value: $1450. $675 plus tax. Terms and conditions apply – see Lisa Renee Photography for details. Studio 3 is a favorite with our Plano Moms! Did you know Studio 3 Dance has been operating in Plano for over 20 Years? Studio 3 offers Jazz, Tap, Ballet, Modern, Competition, Pointe, Lyrical, Hip Hop and Drill Team for children aged 18 months and up. Their costumes and choreography are always age-appropriate. Competition and performance opportunities are available for those interested. A saving of $90 on age 8 and a saving of $95 for ages 9 and up. Located at 2220 Coit Road #440 Plano, Texas 75075. 972-964-3838. Terms and conditions apply – See Studio 3 Dance for details. Beautiful Hair McKinney has been serving McKinney since 2006. They stay up to date on the latest trends as well as keeping their years of knowledge as a foundation has been a major part of our success as a salon. The Salon offers color, cut & styling as well as extensions. The Offer is for a product called Bedroom Hair by Kevin Murphy. It is a light flexible hairspray that adds shine and hold for a lived in look. Leaves hair touchable and movable while maintaining texture and separation. Helps lock in shape for longer lasting waves and curls. Apply to dry hair as desired as a finishing spray. It gives a soft satiny finish which is not too shiny and not too matte. Plano Moms can purchase at a 20% discount – that’s $23! Customers can come into Beautiful Hair McKinney or they can place an order over the phone and they can ship it for free locally. Beautiful Hair McKinney always offers a $20 shampoo and blowout special. Or $35 if you would like them to use a curling or flat iron.